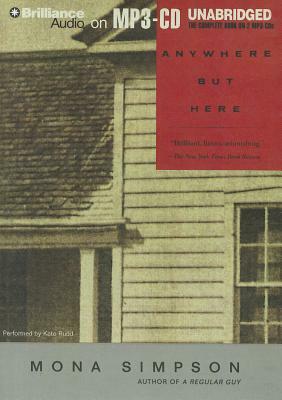 Anywhere But Here is a moving, often comic portrait of wise child Ann August and her mother, Adele, a larger-than-life American dreamer. As they travel through the landscape of their often conflicting ambitions, Ann and Adele bring to life a novel that is a brilliant exploration of the perennial urge to keep moving, even at the risk of profound disorientation. Simpson's first novel is ultimately a heart-rendering tale of a mother and daughter's invaluable relationship. "The two women in this book are American originals. Ann is a new Huck Finn, a tough, funny, resourceful love of a girl. Adele is like no one I've encountered, at once deplorable and admirable--and altogether believable." "Anywhere But Here is a wonder: big, complex, masterfully written, it's an achievement that lands Simpson] in the front ranks of our best novelists."